We were appointed to provide Architectural & Interior Design services for this project in Roundhay, North Leeds in 2012. 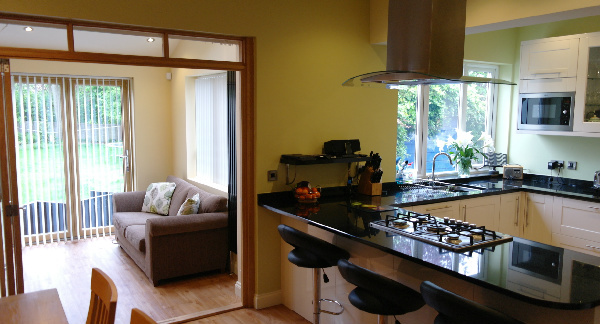 Our brief was to provide our client with an attractive, light and welcoming home office, as well as converting the existing dining room and kitchen to create a modern, spacious single kitchen / dining area. The works were carried out under Permitted Development, which meant that we didn’t need to request planning permission via Leeds City Council, and these works consisted of a single storey rear extension in order to house the new home office, complete with Velux roof windows and bi-folding doors, the bespoke kitchen / dining area, as well as a new Utility room accessed from the kitchen. Although the amount of additional floorspace created by the extension wasn’t huge, the remodelling of the existing ground floor accommodation has made a huge difference to the house in practical terms. We initially obtained building regulations approval through Leeds City Council’s building control department, as well as producing a detailed set of internal drawings for the kitchen / dining area. 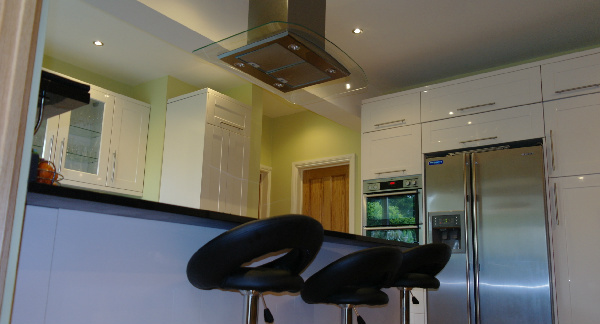 Each cupboard, unit and appliance was carefully planned so that the kitchen could be utilised to it’s maximum potential. 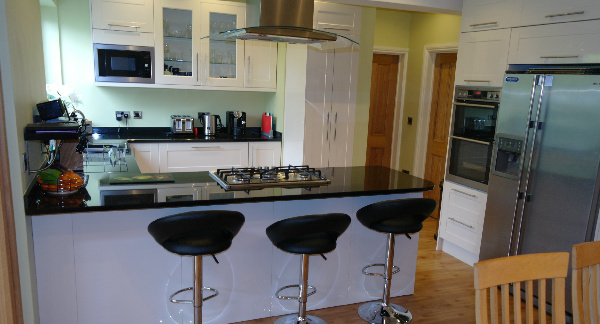 Our client can now enjoy the benefits of working from home, as well as entertaining guests in their new kitchen / dining area, which they are delighted with.